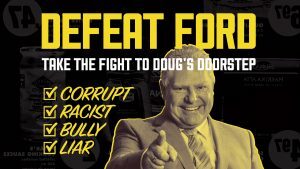 Toronto: The Ontario Coalition Against Poverty (OCAP), along with a coalition of grassroots organizations, is organizing a rally outside Doug Ford’s campaign headquarters at 2141 Kipling Avenue, this Saturday, June 2 at 2pm. Additional details about the rally are available on OCAP’s website at ocap.ca/defeat-ford-action. “We believe the only way for the struggling people of this province to win is to build determined social movements capable of taking on whoever gets in power. 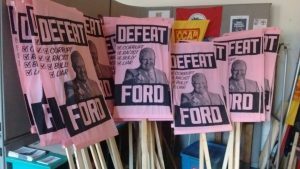 A Ford government would intensify the ongoing attack on poor and working class people, and so a resistance movement powerful enough to confront and defeat him must be built,” says John Clarke, organizer with OCAP, of the motivation behind the rally. 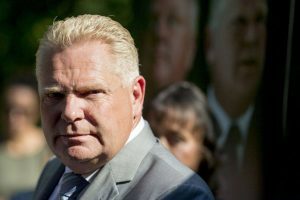 Support for Ford is slipping but a hard-right government led by the Conservatives remains a serious possibility. OCAP is no stranger to the Fords, having fought the Ford brothers’ attacks poor and homeless people during Rob Ford’s mayoralty at city hall. 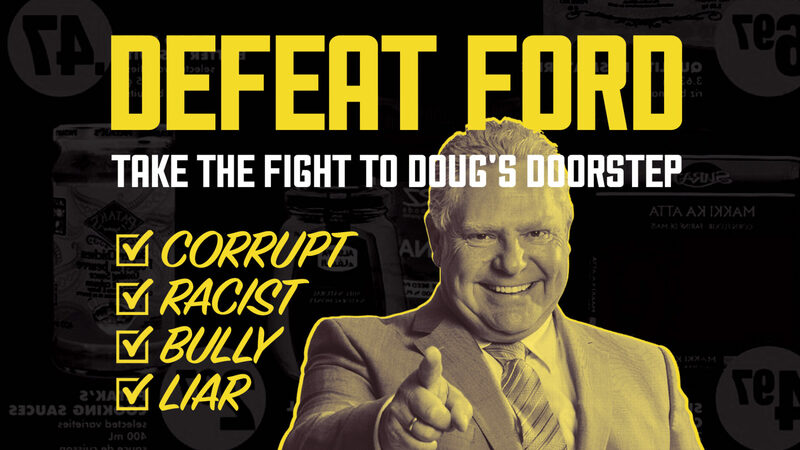 The current slew of corruption scandals, lies, bullying, and racism that has plagued Doug Ford’s election campaign is no surprise given his past record. It’s also a harbinger of worse to come should Ford actually become premier of Ontario. “Much has been made about the lack of a costed platform by the Conservatives, but most people know what they they are concealing. 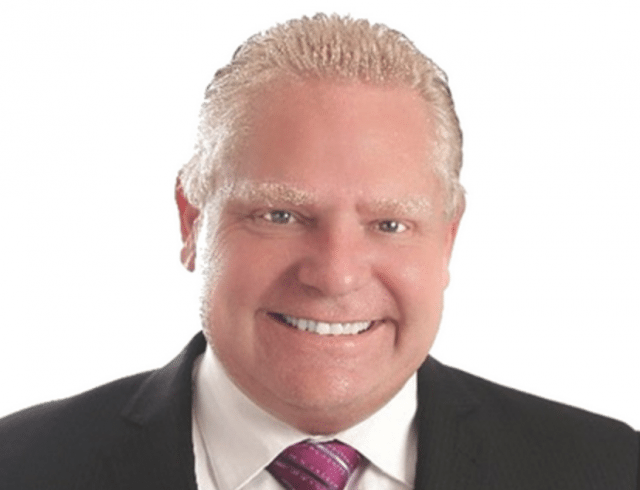 A Ford government promises tax-breaks for corporations and the wealthy, and service cuts for the rest of us who depend on public hospitals, education, roads, transit, income support and decent jobs. That’s not the basis on which an election can be won, so they’re choosing deceit and empty populism,” says Chris Ramsaroop, migrant rights organizer and lifelong resident of North Etobicoke, the riding Ford is trying to win a seat in. “We are equally convinced, however, that the day after the election, whatever its result and whoever forms the government, that the struggle against austerity will have to continue. 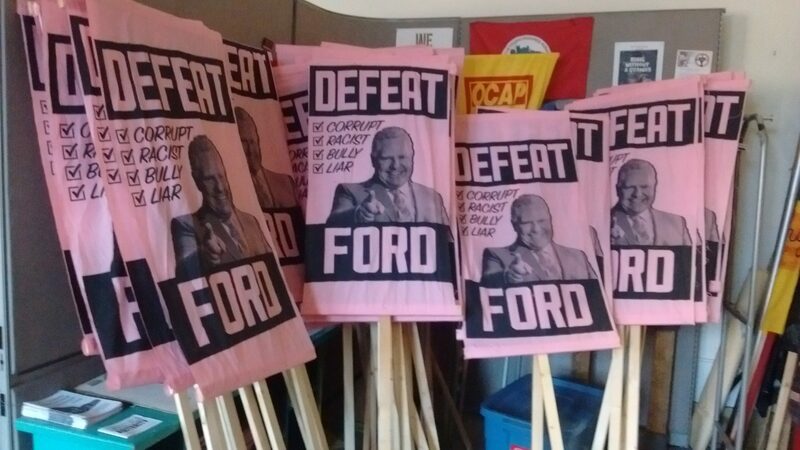 If that struggle is against Ford, we will be fighting a hard right regime. If the NDP wins, from day one, big business will be working to push them to the right, and only a serious social mobilization will be able to counter this. That’s precisely what we intend to build,” adds Clarke. Confirmed speakers at the rally will include representatives from OCAP, the $15 and Fairness campaign, the Overdose Prevention Society, Health Providers Against Poverty, Canadian Union of Public Employees Local 3903 (York University), and migrant justice activists.